One thing I’m beginning to learn as I dabble in the world of professional sport which is something I haven’t really done before is that things can change quickly. A sponsor pulls out unexpectedly, an injury occurs or in Kate Bate’s case an injury reoccurs. I originally spoke to Kate a couple of weeks ago and she told me all about how her focus was on the London Olympics. So I wrote my blog post and as I sometimes do I sent it to Kate to fact check to make sure I’d got all the details right. I got a surprising and apologetic email back about 12 hours later to say everything had changed and Kate would be announcing her retirement the next day. Kate’s a very humble and kind women and she was actually apologising to me that she’d messed up my story. But never mind, I’ve salvaged it with a new angle. Easy done. Kate was planning to put herself forward for track selection for the London 2012 Olympic Games. Kate is no stranger to Olympic teams and has already competed at two games but laments her lack of an Olympic medal and that’s the way it will stay unless of course she takes up a new less physically demanding sport like shooting. Kate has enjoyed a long and illustrious career in cycling. You could say that cycling is in her blood. Her grandfather George Bates was one of the founders of Parramatta Cycling Club in Sydney’s west and Kate started when she was just 11 years old. By the time she was in her late teens she became a professional. Despite Olympic medals eluding her, she’s certainly no stranger to accolades. She won a gold and silver at the Manchester Commonwealth Games and gold and silver at the Melbourne Commonwealth Games and has numerous World Championship wins under her belt. 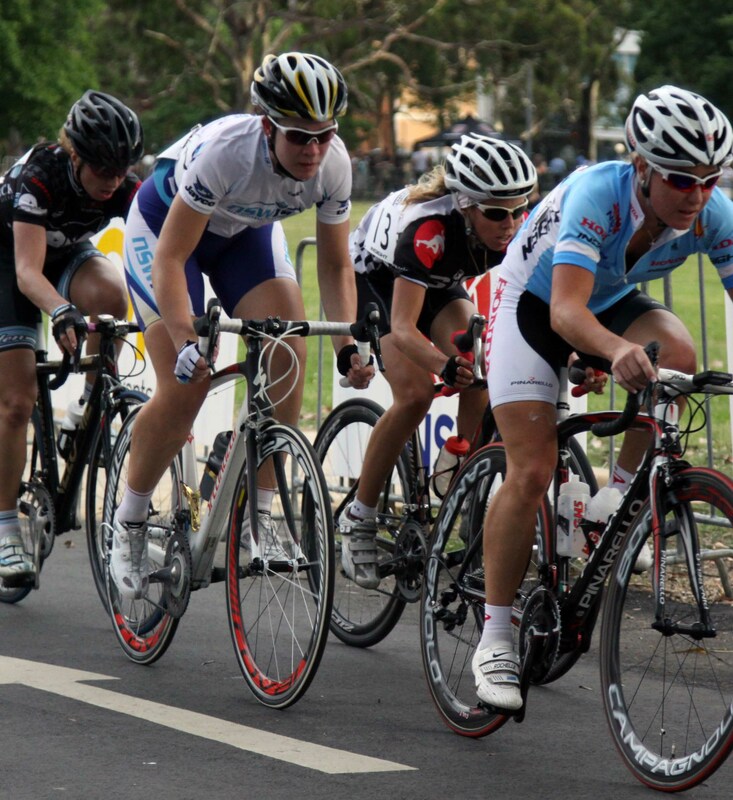 As well as track Kate has ridden road for many years and has raced in Europe for a number of teams. She describes her career in terms of always reaching the top of a hill and then finding another mountain to climb. She loves the challenge of the track and says her heart skips a beat when she’s out on the boards. At the end of her professional career she’s very aware and feels a sense of responsibility for nurturing the next generation of women cyclists so will be involved in the sport for many years to come. As for raising the profile of women’s cycling, Kate believes the first step is to stop complaining about the lack of profile and focus on the positives. 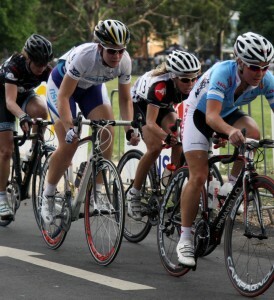 She says that she views women’s cycling as almost a different sport to the men’s equivalent. It’s an exciting sport with exciting personalities and we need to engage people on that basis. As reported on SBS Cycling Central she will immediately move into the role of team manager with the Pitcher Partner team for January’s Jayco Bay Cycling Classic, then opportunities in the media and corporate world. And if that isn’t enough she’s recently completed her accounting degree via distance education which will obviously play a big role in her future. You can follow Kate on twitter @KatherineLBates or check out her new website katebates.com.